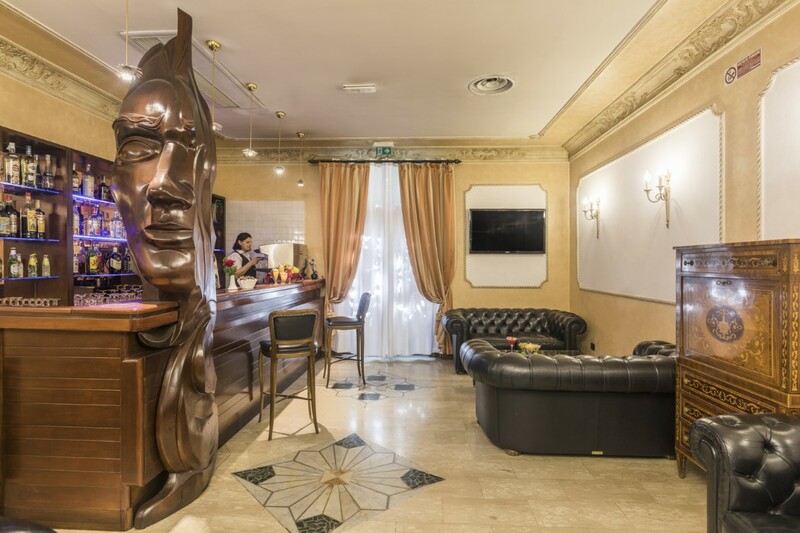 – the RECEPTION, opened 24 hours, will represent your point of reference for any inquiries about our services and for all the tourist information, including museums and restaurants. 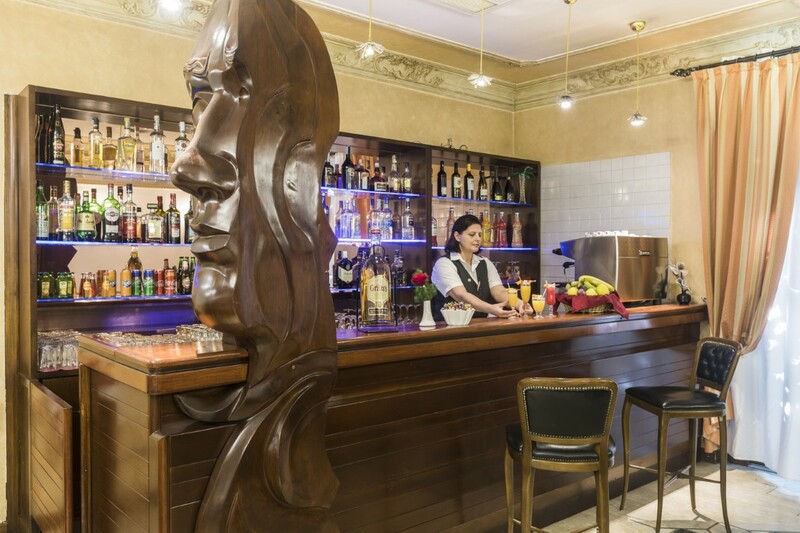 – the BAR in the elegant and welcoming Hall, available from 07.00 am to 23.00, is one of the favorite places for our guests to taste a good cocktail or to relax after dinner. 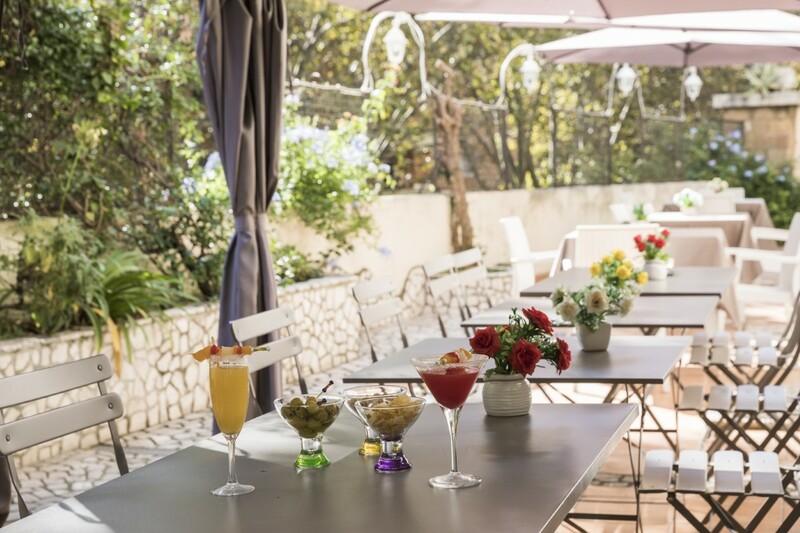 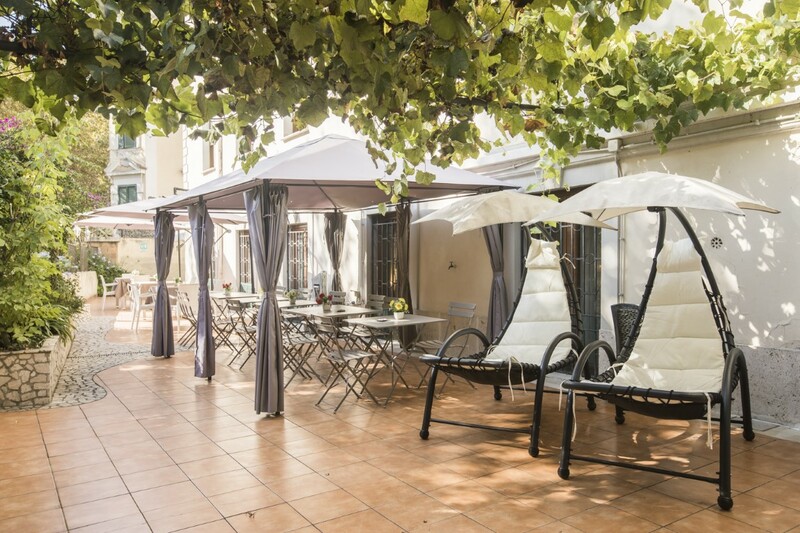 – The TERRACE / solarium is equipped with chairs, tables and umbrellas, where the guests can spend pleasant moments. 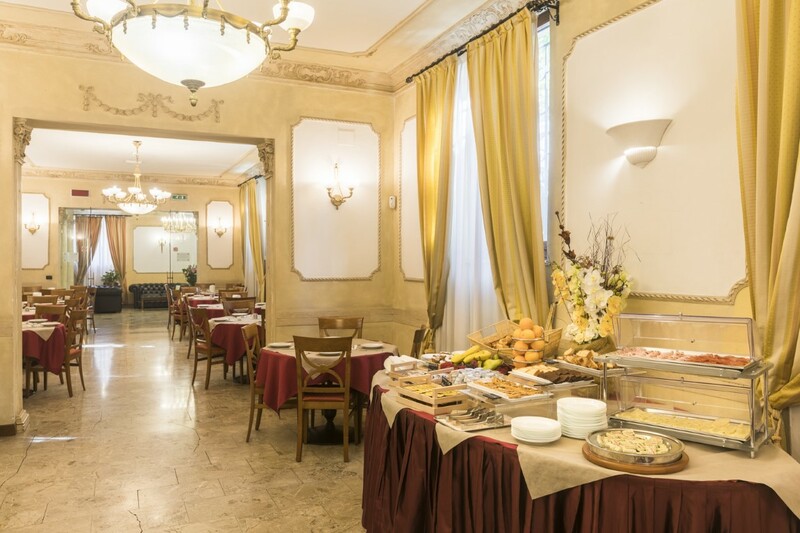 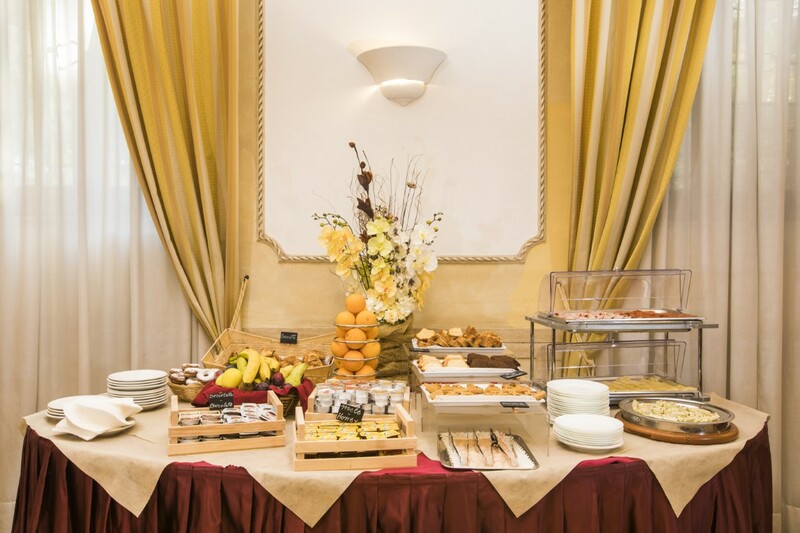 – the RESTAURANT opened upon group reservations, offer every morning a rich continental buffet breakfast, served with attention towards intolerance or different preference. 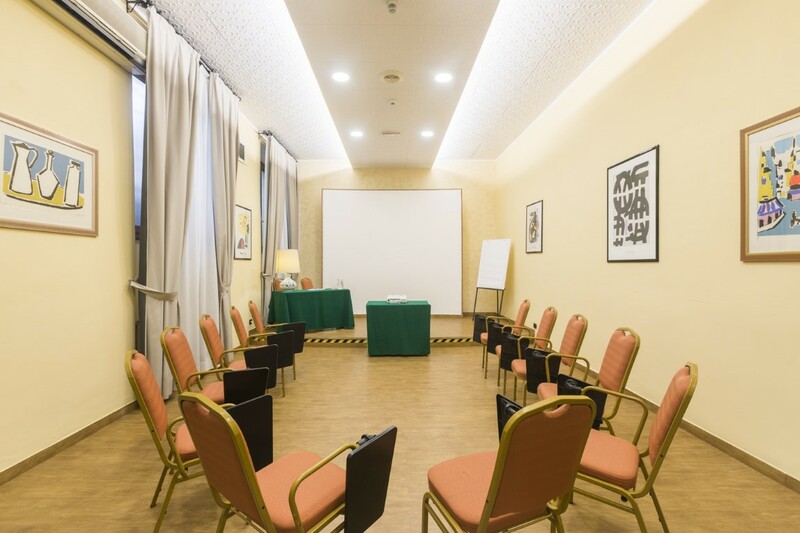 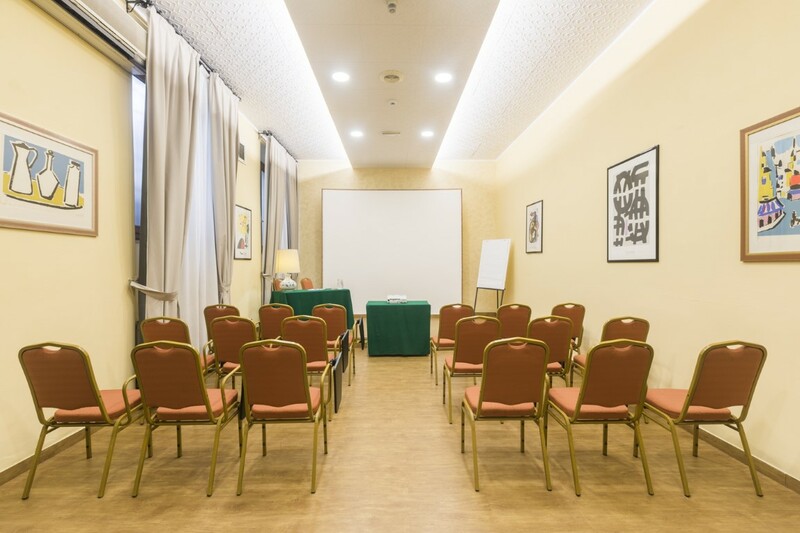 – The multifunctional MEETING ROOM, with a capacity for 45-50 people, is provided with free wi-fi, screen, projector, flipchart, writing materials, all the necessary things for the success of your event. 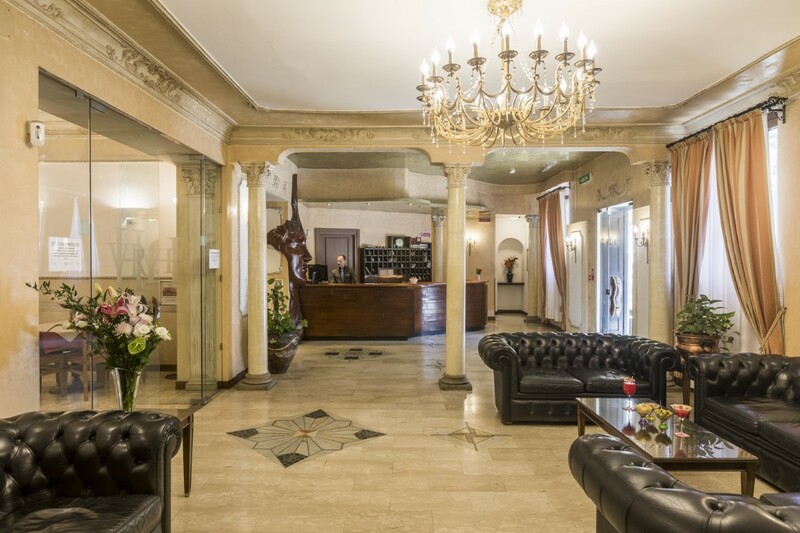 - TRANSFER from / to the airports: up to 4 people with luggages in standard limousine, starting from Euro 45,00. 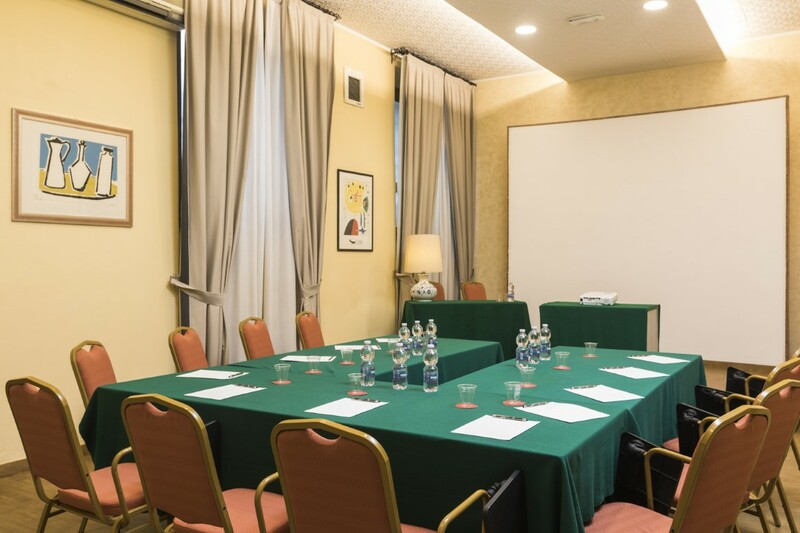 There will be a night surcharge of € 5,00 from 22.00 to 06.00 in the morning. 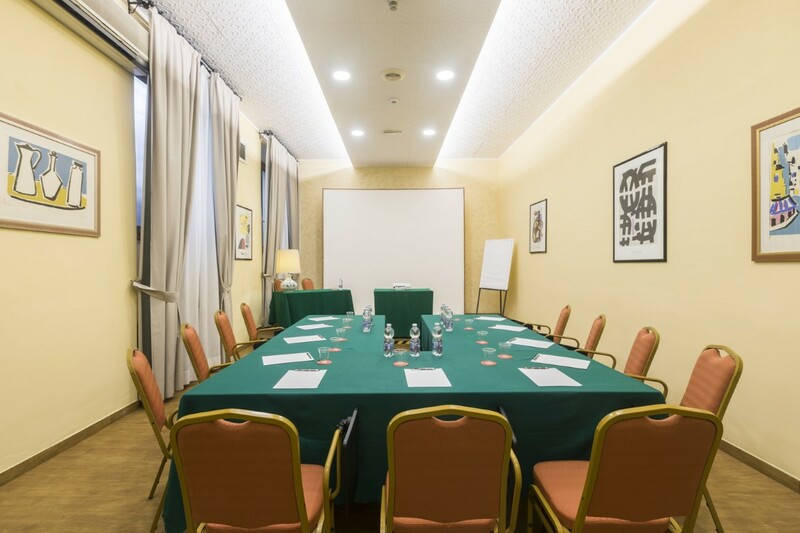 - GARAGE, in convention with us, is located at about 200 meters from our hotel. 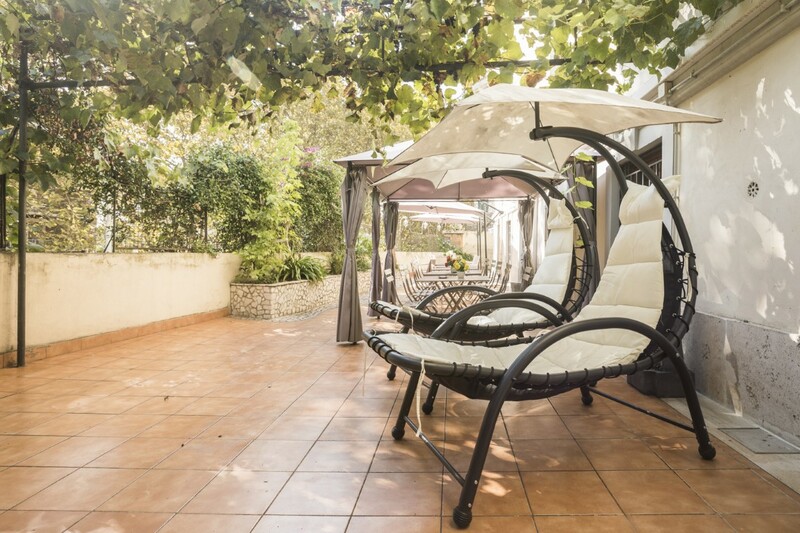 Price starting from € 12,00 per day depending on the type of car. 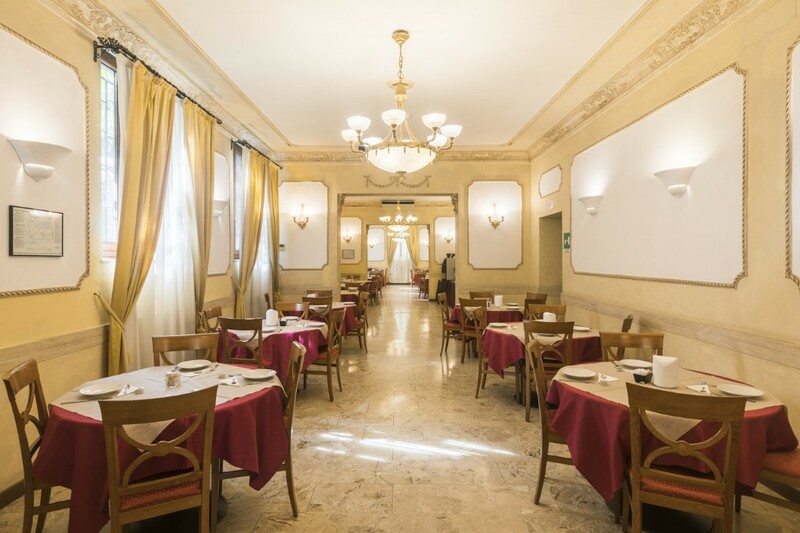 - RESTAURANT / PIZZERIA, in convention with us, is located at about 300 meters from the hotel. 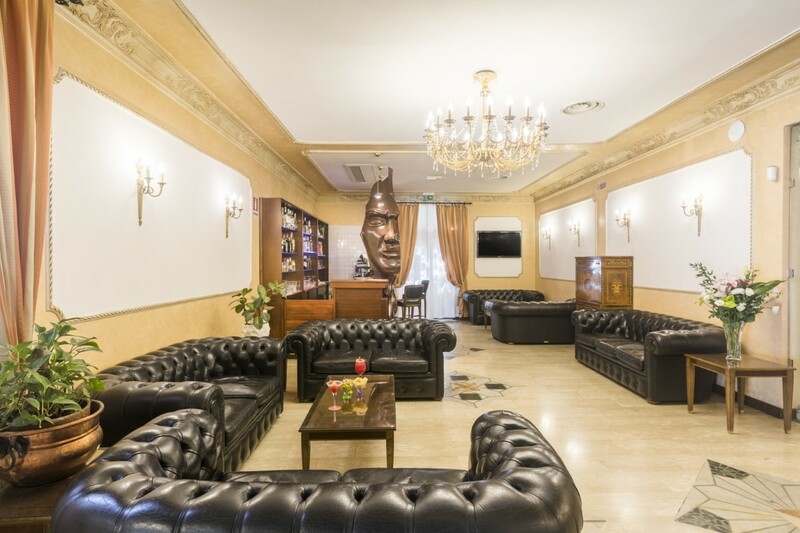 -Upon availability of the Hotel it is possible to request an Early Check in and a Late Check out with a small supplement.